In recent years, we have seen incredible changes to the world of agriculture and growers of wheat crops are now seeing a new reward in the shape of protein levels. In many regions, growers are considering a late application of nitrogen not to boost the final yield but to increase the level of protein found in the yield to target the premium. Between hard wheat and general purpose pay grades, there is thought to be around $40 per tonne difference which is leading many growers to consider this new tactic. However, many industry experts believe that it isn’t as easy as it sounds. Although it is possible, many believe it to be a tough balance to master and even after this, growers will also need a healthy dose of luck. Dr Rob Norton, International Plant Nutrition Institute, has said that the opportunity to increase protein levels does exist but it needs to be done economically. For example, an increase of one percentage point to 11.5% could allow for a premium but a difference of one percentage point up to 9% wouldn’t have the same effect. It’s fair to say, the debate will roll on for some time to come and it could lead to some more interesting developments. With that being said, there is a new variety of wheat that many people are turning to and this has been given the name of ‘tungsten’. Having been developed over a period of ten years, tungsten seeds produce the highest amount of protein out of any wheat on the market and grows most efficiently in the sandy soils of Western Australia. For the country as a whole in terms of exports, this is huge news because it could mean that the area’s wheat can finally compete on the global market. 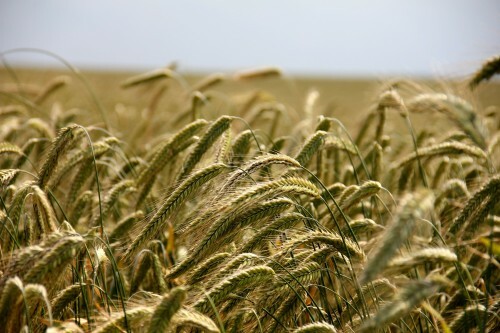 Whereas other countries have been able to produce high protein wheat for some time, this is new for Australia and is expected to provide a million dollar boost to the export market. With Southeast Asia as the biggest customer, around 90% of Western Australia’s wheat is exported but this is limited somewhat by the lack of protein. With many bakeries in Asia requiring high protein levels, they have to import from other locations in order to meet the demand. After many trials of tungsten, experts believe that a 14% level of protein can be reached which is more than sufficient for the Asian market. All in all, this is great news for agriculture and a huge step forward for the future. If WA can become a staple in the global market, opportunities will be aplenty in the coming years and the rewards will soon be felt from this.